4/2/08 - HUGUENOT, NY - At 11:42 hrs, Huguenot Command requested a 3rd Alarm with a tanker task force on arrival of a barn fire with fire threatening numerous exposures. 39 Engine 1 and Tanker answered the alarm. 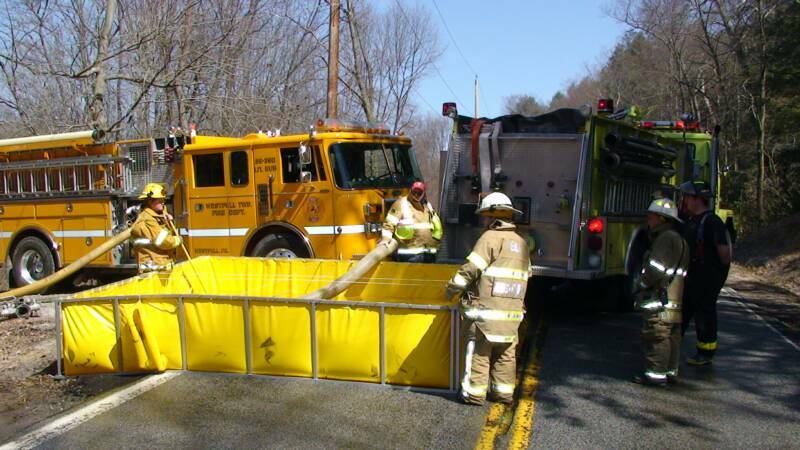 On arrival 39 Engine 1 established dump site and a relayed water to Huguenot's Engine while the 39 Tanker established a fill site at a pond on Neversink drive for all the incoming tankers. Thankfully the barn was used only for storage and no wildstock were present. Units remained on scene until 16:10. 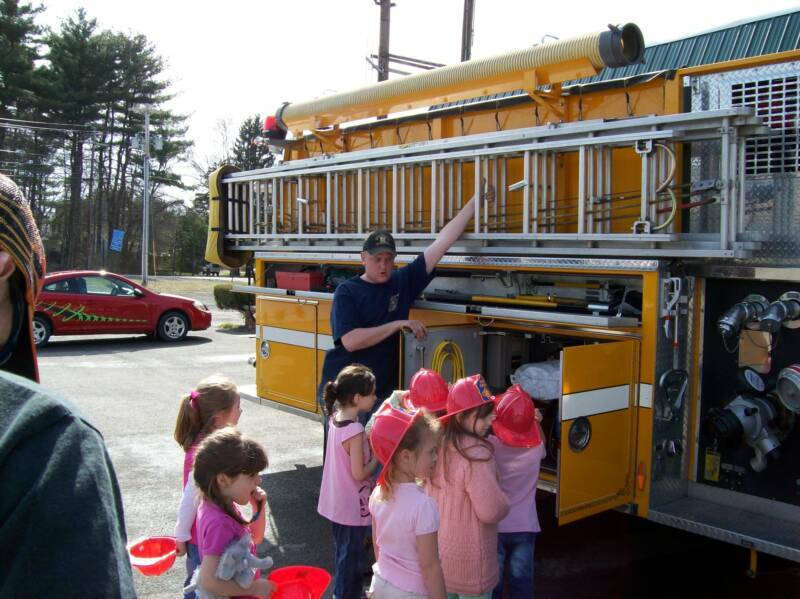 4/8/08 - WESTFALL TWP - The local Girl Scout Pack made the trip to the Fire Station today to get a fire prevention demonstration from the volunteers. 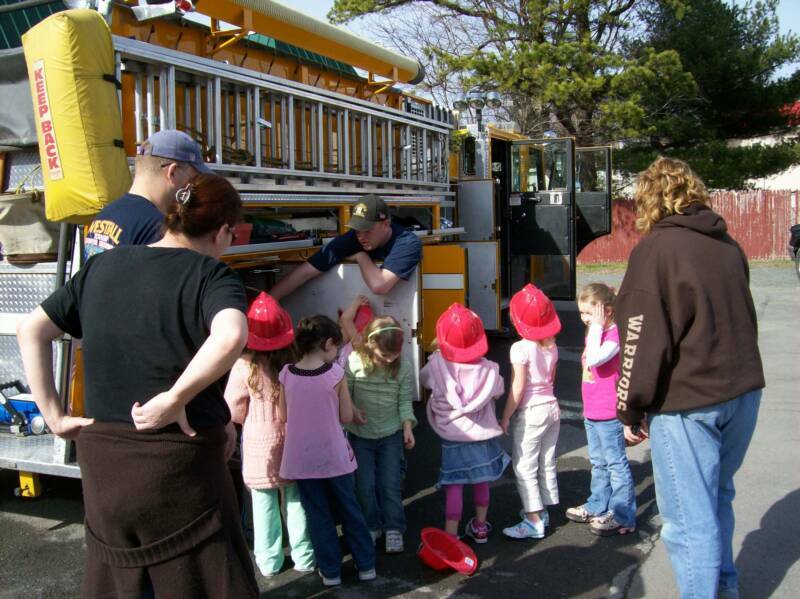 7 Girl Scouts and their Scout Leaders were led on a tour of the fire apparatus by Asst Chief Jacobs and Lieut Meyers. 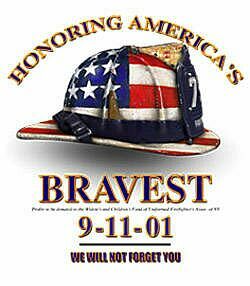 Each scout was issued a fire prevention helmet as well as coloring books. 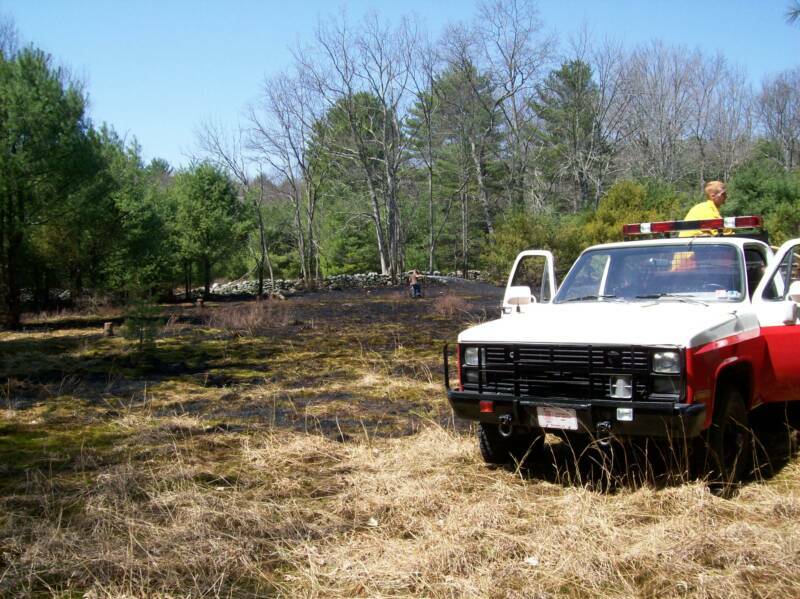 4/18/08 - MILFORD TWP - At 11:39 hrs, Fire Station and Squad 39 were alerted to assist Station 33 (MILFORD) at the scene of a fast moving brush fire on Schocopee Rd. 39 Brush and A-398 responded. Firefighters from 33, 39, Montague NJ, as well as DCNR Forestry held the fire to just over an acre. Units cleared the scene at 15:08. 4/22/08 - WESTFALL TWP - At 12:44 hrs, Fire Station and Squad 39 dispatched for a brush fire on Heaters Hill Road in the area of the radio station tower. 39-3 (Asst Chief Adams) arrived on scene and advised of a fast moving fire along a mountain side being pushed by heavy winds. 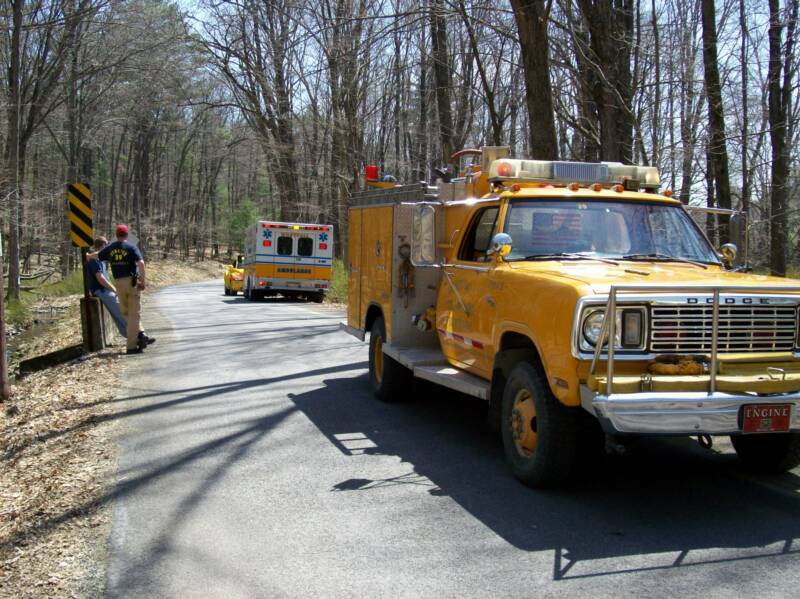 Mutual aid for a brush truck from Station 32 (MATAMORAS) was requested as well as DCNR Forestry. 39 Brush and 39 Engine 1 traveled the dirt road into the tower where Contractors who were working on the tower were trying to contain the fire. 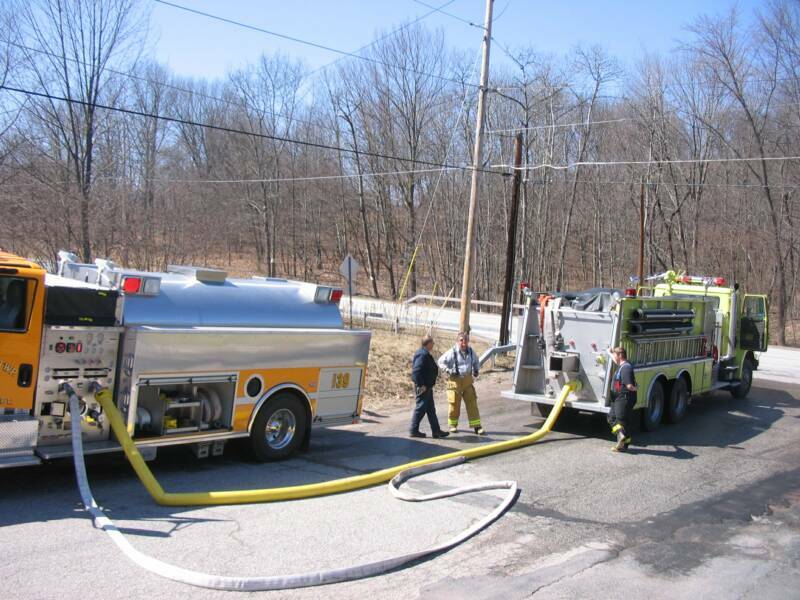 39 Tanker relayed several loads of water from a hydrant in town to the scene. Thank You to PJFD Engine 4 and 34 Tanker for manning our station. 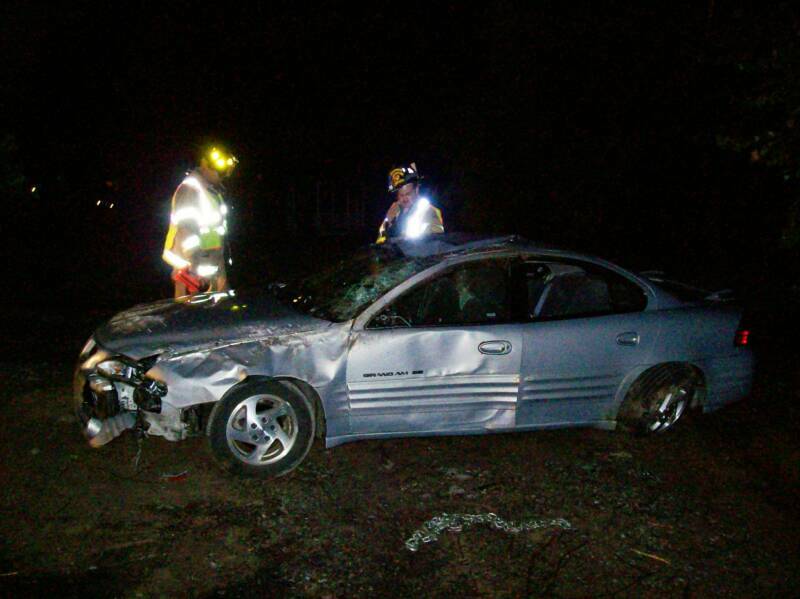 5/27/08 - WESTFALL TWP - At 01:04 hrs, Both Fire Station and Squad 39 were alerted for a motor vehicle accident on Route 6 & 209 with unknown injuries. 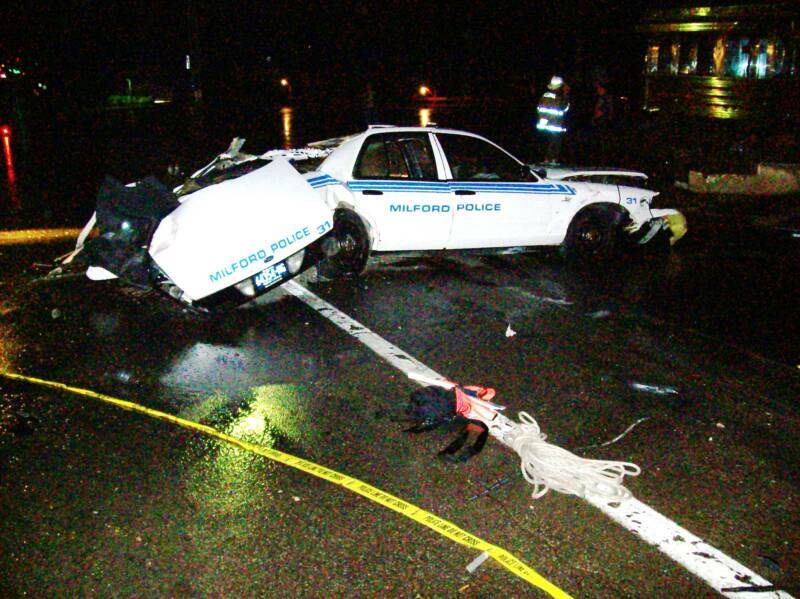 IC (39-1) Chief Koferl arrived to find a Milford police car that had crashed into the Village Diner while responding to an emergency and 1 injured police officer. 39 Engine 2 and A-398 arrived shortly after and began treating the injured officer as well as evaluating the structural damage to the building. As EMS personnel began packaging the officer, a Medevac helicopter was requested to launch and 39 Engine 1 responded to the Delaware Valley High School parking lot to establish a landing zone. Due to heavy fog conditions in the area, MEDCOM attempted 3 different Tri-State area Medevacs before making contact with Northstar out of New Jersey who excepted the flight. Units remained on scene until 05:30 assisting with traffic control. 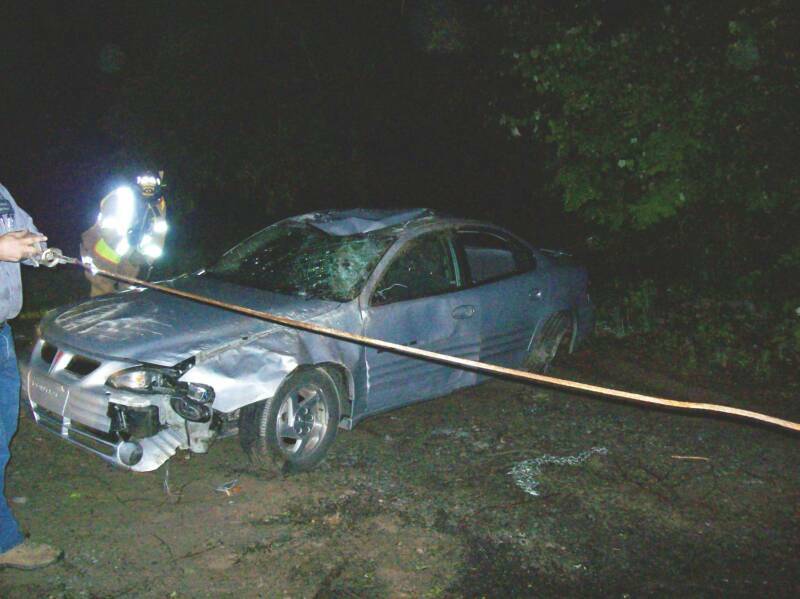 6/7/08 - WESTFALL TWP - At 02:30 hrs, Both Fire Station and Squad 39 were alerted for a rollover motor vehicle accident on Route 6 & 209 near the Scottish Inn motel with unknown injuries. IC (39-2) Asst Chief Jacobs and 39 Engine 2 arrived to find a vehicle that rolled several times landing in the grass and no occupants in the vehicle. Firefighters began searching the area for possible patients while 33 Rescue dispatched to the scene to assist with lighting. Moments later, an Eastern Pike Regional Police Officer notified the fire department the vehicles occupant was already home and not injuried. 39 Engine 2 and Milford Ambulance 335 remained on scene providing traffic control while the Towing Company removed the vehicle. All units returned to service at 03:30 hrs. 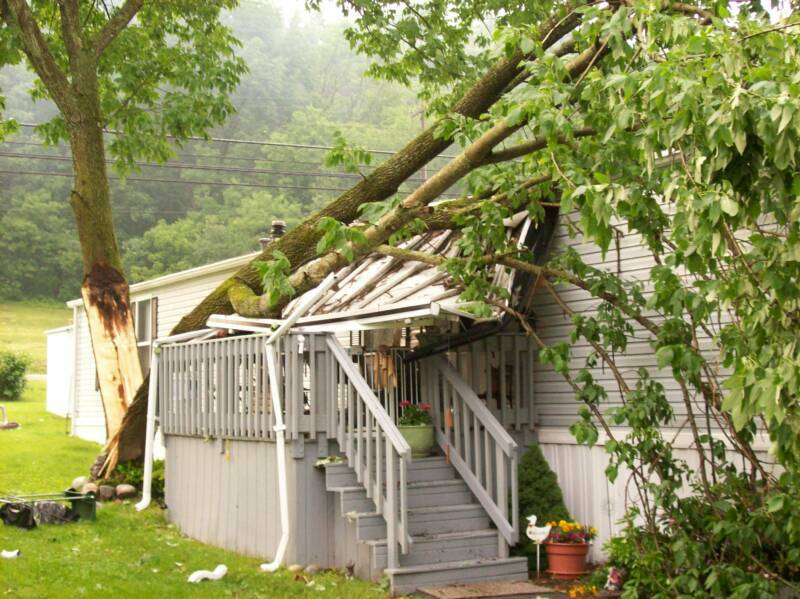 6/7/08 - WESTFALL TWP - At around 18:00 hrs, a violant storm entered Westfall Twp bringing 60 mph winds, heavy rain and golf ball size hail. 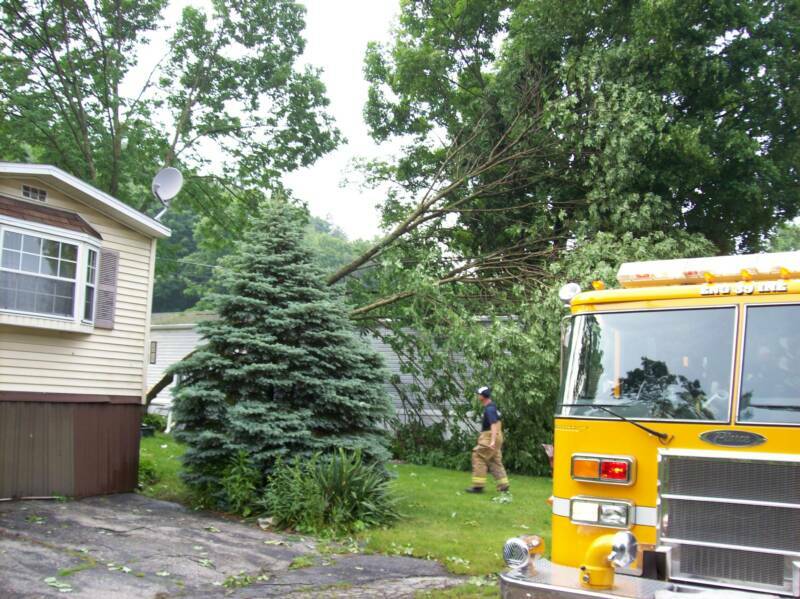 Only moments after the storm began, Station 39 was activated for numerous calls involving tree and wires down throughout the western portion of Westfall Township. As the storm passed through and the assessment began, firefighters were met with large trees down on homes and vehicles, several telephone poles snaped in half as well as live wires on the ground over a one mile radius. IC (39-1) Chief Koferl requested mutual aid from 33 (Milford) and 32 (Matamoras) as well as the Township EMA and Road Department with heavy machinery. All agencies operated well into the night cleaning up debris left in the storms path. No injuries were reported. Nueroscience / Premedical Studies. 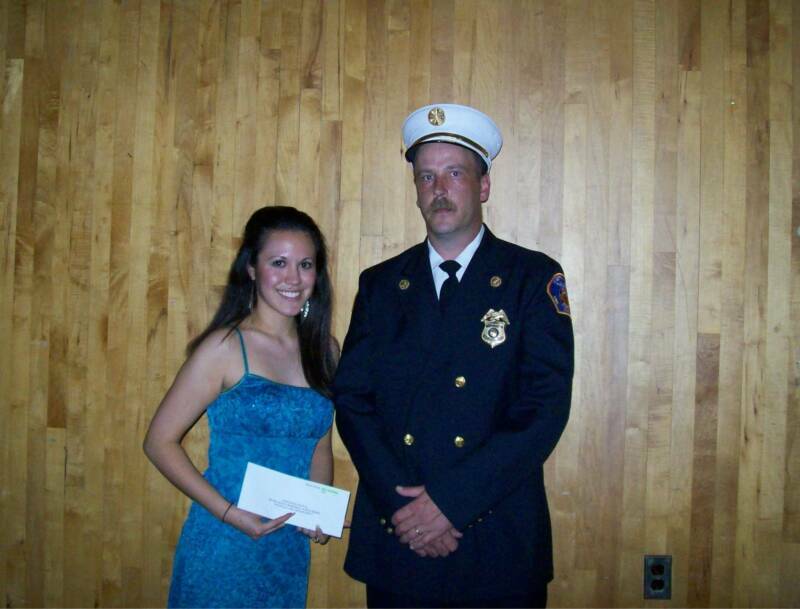 Congratulations to Samantha and all of the DVHS 2008 Graduates. 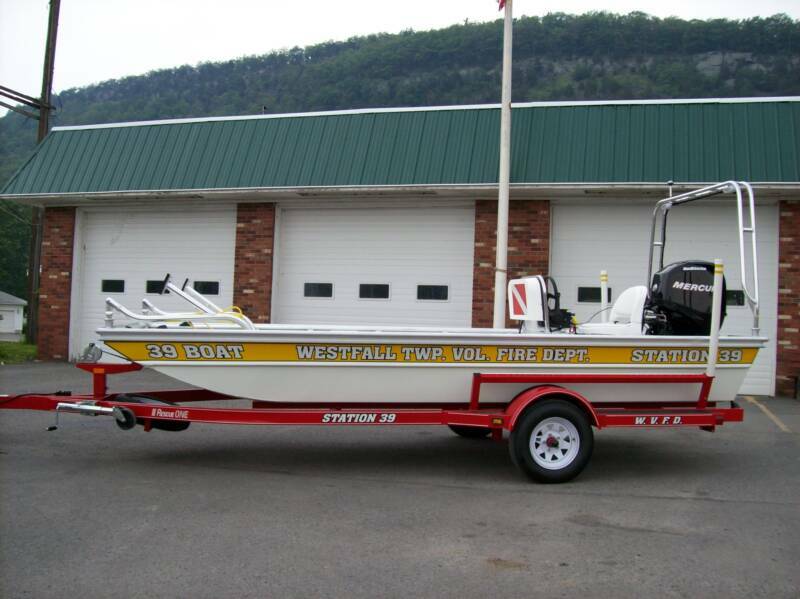 6/14/08 - WESTFALL TWP - Recently, Station 39 welcomed a new 16' 2008 Rescue One Connector Boat. This boat will be replacing our existing 17' Achilles Raft and utilized in the many water related emergencies responded annually. The new Boat has a 40 HP outboard Jet, Dive Rescue Platform, Center Console and ability to connect to other boats during prolonged operations. 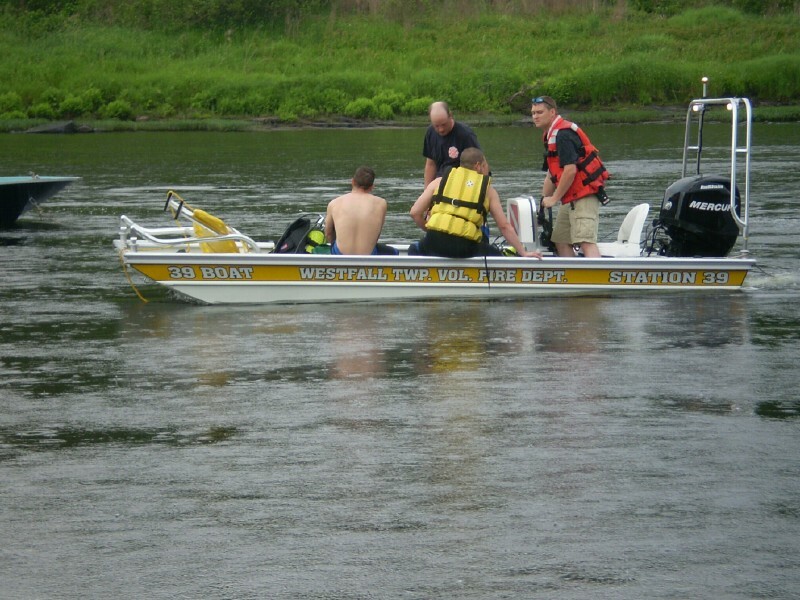 6/14/08 - WESTFALL TWP - At 17:33 hrs, Fire Station and Squad 39 were alerted for a water rescue on the Delaware RIver in the area of the Eddy Farm Hotel. Updates from the PC-911 advised responding units that 1 person was still missing in the water and unaccounted for. 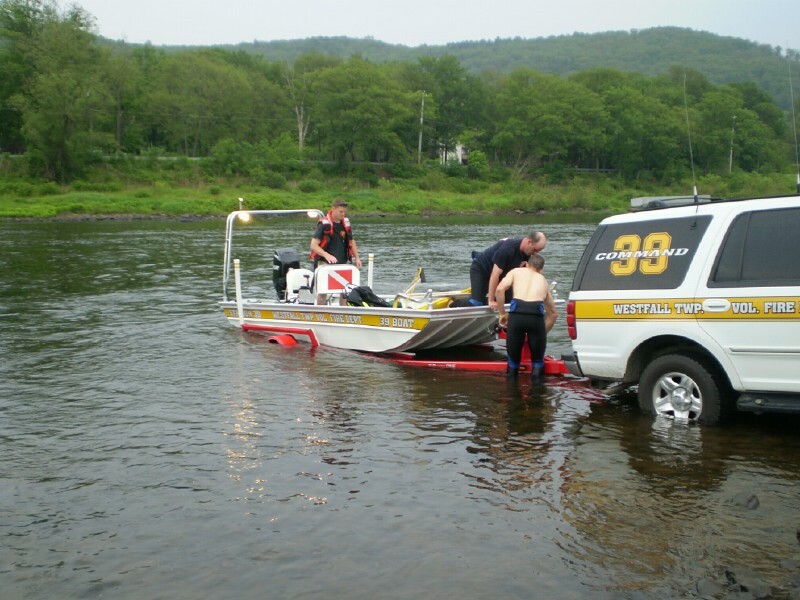 Within minutes of the dispatch, Station 39 Dive Team members assembled at nearby Kittatiny Canoe and deployed upstream dropping Scuba Divers in the area where the victim was last seen. In less than 5 minutes, a recovery was made and the patient was brought to a waiting ambulance on the NY shoreline. Mutual Aid Dive Teams from Sparrowbush, Port Jervis and Matamoras FIre Departments assisted at the scene. 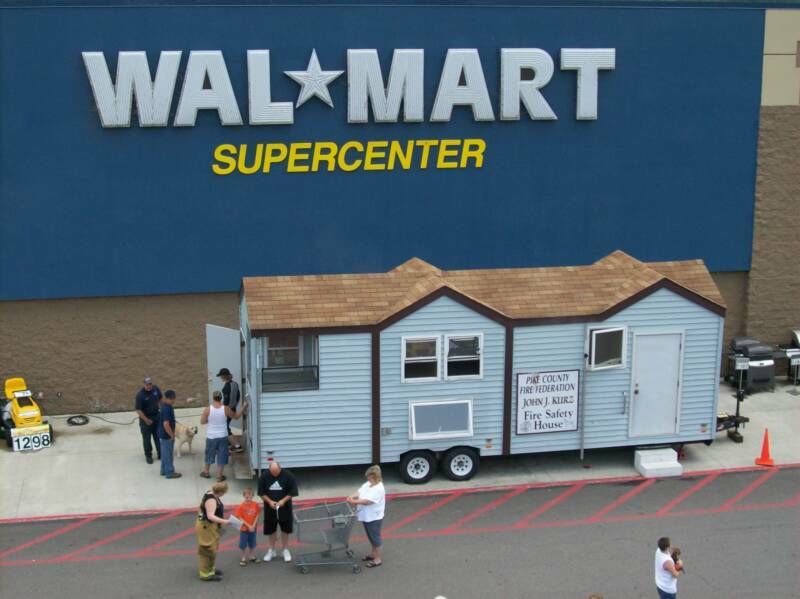 6/22/08 - WESTFALL TWP - On Sunday, members from the Westfall and Matamoras FIre Departments as well as the Pike County Search & Rescue participated in the Wal-Mart annual Safety Day. 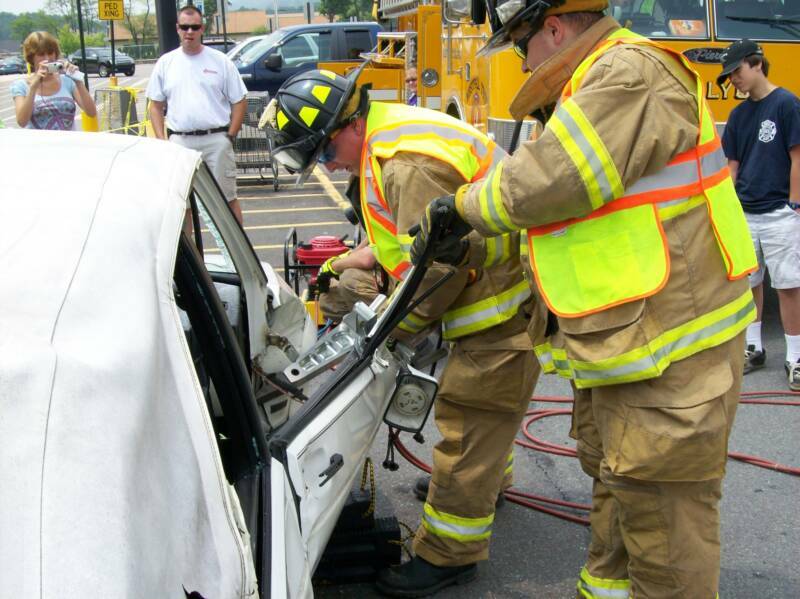 Throughout the day, numerous demonstrations were held including vehicle extrication, the fire safety house, Seamus the K-9 Rescue Dog, High-Angle Rope Rescue as well as plenty of apparatus on display.